I’ve never really heard of this artist before, but based on the strength of this release, I’m definitely interested in hearing more. 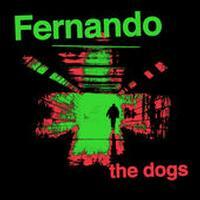 Fernando is joined on these songs by Peter Buck and Scott McCaughey, both best known for their work in REM. The sound here is very much set in 1960s psychedelia. I’d have to say that the A-Side song is incredible. This is possibly my favorite song of the year (2014). It’s got a slow moving and trippy kind of vibe to it. In a lot of ways, it really feels like it could have come out in the psychedelic days of the 1960s. There are some great fuzz laden sounds, but the melody is the king on this number. Slower and mellower, this has just as much psychedelia built into it. There are some slight Beatles-like elements here. Although there is less fuzz here, it doesn’t lack it completely. There are a couple sections of particularly freak out based music, too. This is more of a ballad, and it’s quite effective. It’s not at the same level as the other side, but not much is, really.